When the forecast all of a sudden becomes rain on your wedding day and you’re like “We got this!”. 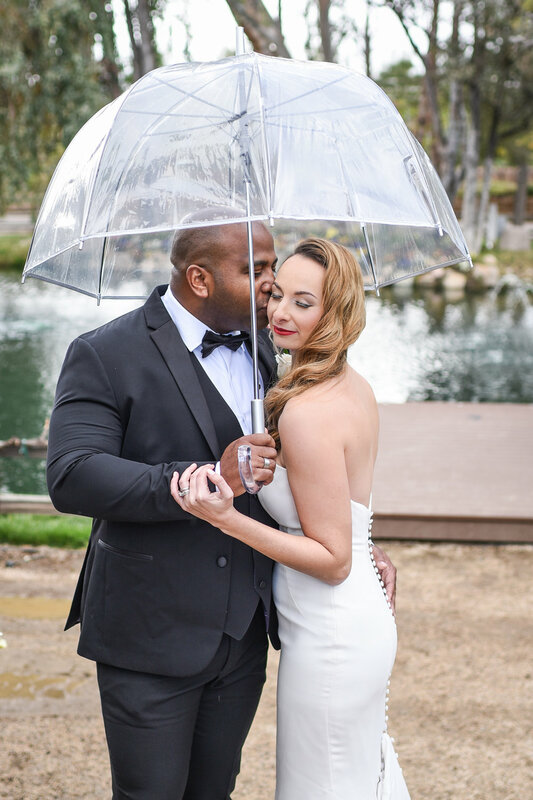 This beautiful couple embraced the possibility of rain by incorporating clear umbrellas that ended up being a beautiful prop in photos even though it ended up not even raining. 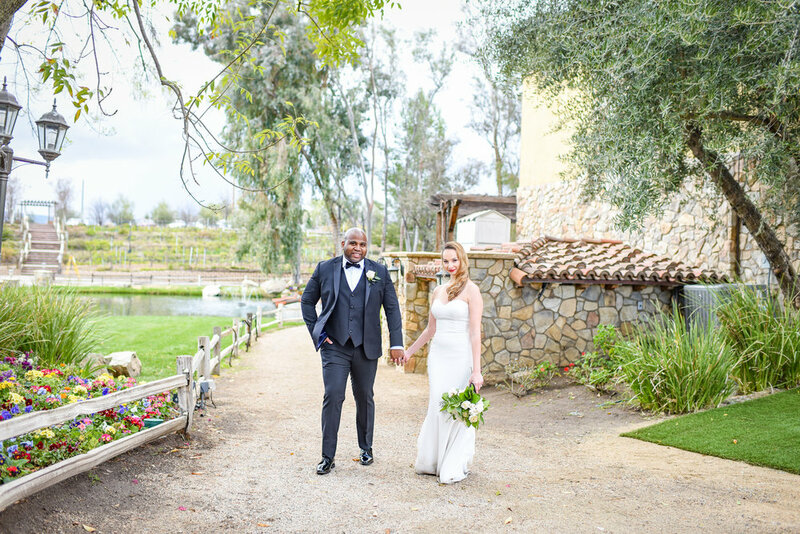 The color scheme was “Black Tie Event” and the Bride and Groom was dressed to impress! So classy and timeless. 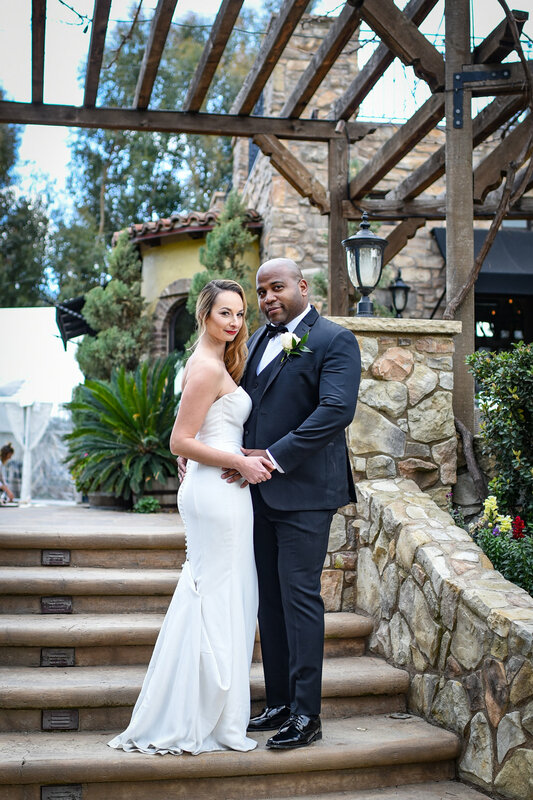 Vendors helped make it all come together with creative and beautiful décor such as the amazing cake and the reception tables that was full of fresh greenery and uniqueness such as Kale!